Our displays of gardening accessories near Wembley are attracting visitors every day. At Birchen Grove Garden Centre, our visitors are amazed at the variety of product lines that we have to offer. While every garden centre tries to keep a comprehensive stock of plants, what sets us apart is our equal focus on the variety and availability of accessories our customers need for their hobby. When we started to stock the garden centre with various accessories for our gardening loving customers, we were essentially taking a risk. However, our customers welcomed the decision with purchases that kept us running out of stock. We are proud that our products are helping our customers with more than planting their favourite flowers and fruits in their garden. Our gardening tools category is packed with all the basic - as well as advanced - instruments that you might need to tend to your garden. Whether it is watering cans, Dutch hoes, rakes, spades, shears, grubbers, etc., we have them available in all their popular types, materials, and technical specifications. Compost is another of the gardening accessories necessary to get your plants going. With the right kind of compost, you can ensure your plants get proper nutrition and grow fast and strong. Our variety of compost and fertiliser will help you choose the perfect fit for your next plantation. Our stock of gardening accessories near Wembley includes paving materials. Brick, shingle, etc., are all popular options that are available in Birchen Grove Garden City. Similarly, we have a wide variety of plant containers so you can make your home’s interior decorations look natural with some green inside. You can use themed pots to have your home greenery create the perfect presentation for your guests. Coming over to our garden centre for your gardening essentials is a great idea. We are open all days of the week so you can reach us any morning or afternoon you want to. 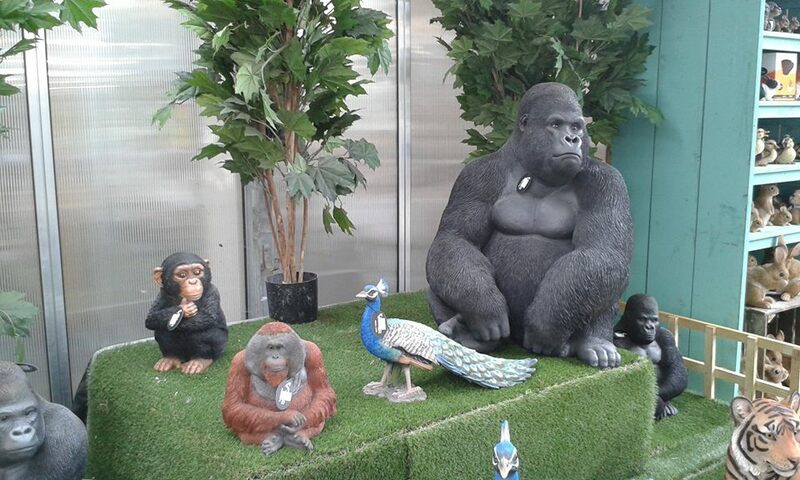 With such ease and our ideal location on London Road, our customers have no trouble getting to our premises for their favourite gardening accessories near Wembley. Our stock is full of options and every customer who visits the garden centre finds a number of useful accessories they have been looking for. To create and then maintain a stunning garden, you need the right equipment to get things going. This can only be done with the right set of tools and accessories. From making your plot ready for planting to putting seeds and roots into the soil, protecting the crop, weeding the beds, and picking fruits off the trees, you need specialised instruments to do the job right. Our product lines of gardening accessories near Wembley will provide you all the options you need. Besides this, we also stock a great range of outdoor plants. If you are a starting up gardener, the importance of understanding the right use of your tools and gardening accessories cannot be overstated. To help you with this problem, we have experts available in our premises who will be happy to provide you detailed guidance about what to get and why. Visit Birchen Grove Garden Centre this week and get all the gardening accessories you need.